Still rolling along with happy days….HOT!!! happy days but happy. We survived the muggy heat with very early mornings of harvest and hard work and then transitioned to easier tasks in the heat of the day. Scott and I are not too bothered by the heat so not that taxing on our duties. Weeding and seeding in during the afternoons is not too difficult. 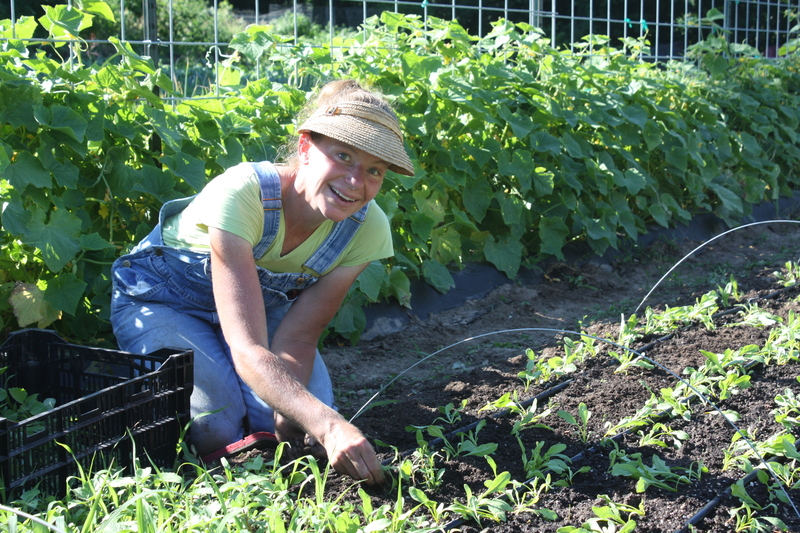 Weeding the golden beet bed in the heat of the day. 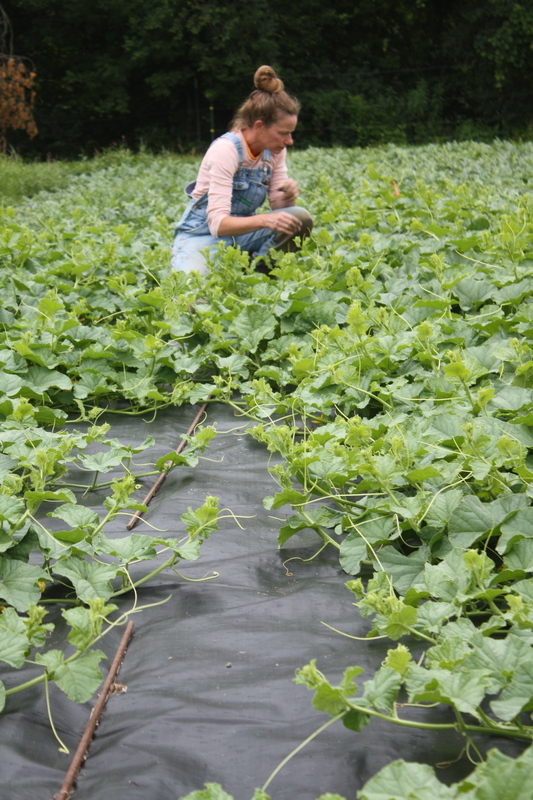 The heat loving crops responded with robust growth in the hot days and warm nights…..The vines in the melon patch are running all over and tons of baby melons on the vine. Checking out the baby melons. 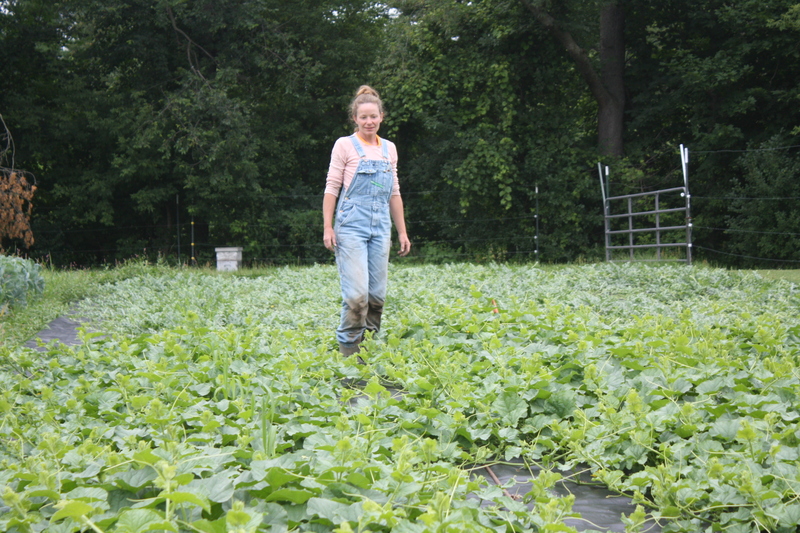 Eggplant is finally starting to produce and a few Full Share members will see them in their bags this week. 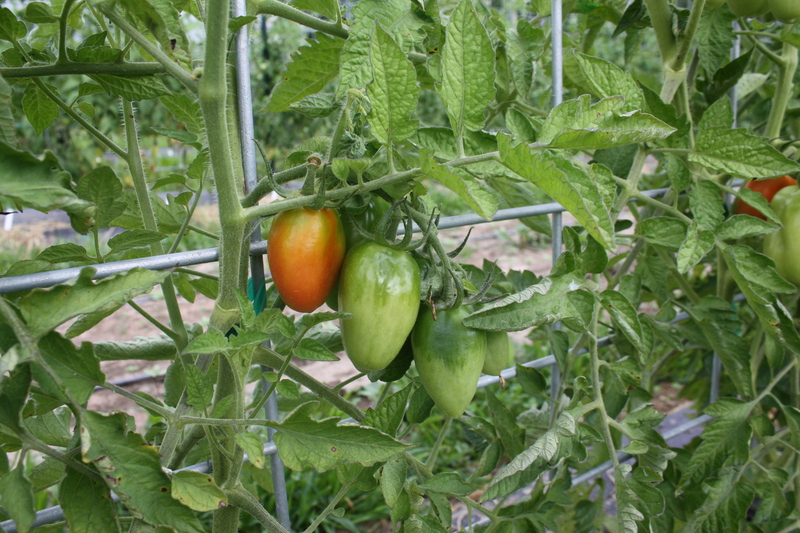 Tomatoes are finally! coloring up and we are hopeful that we will start picking for the shares next week. 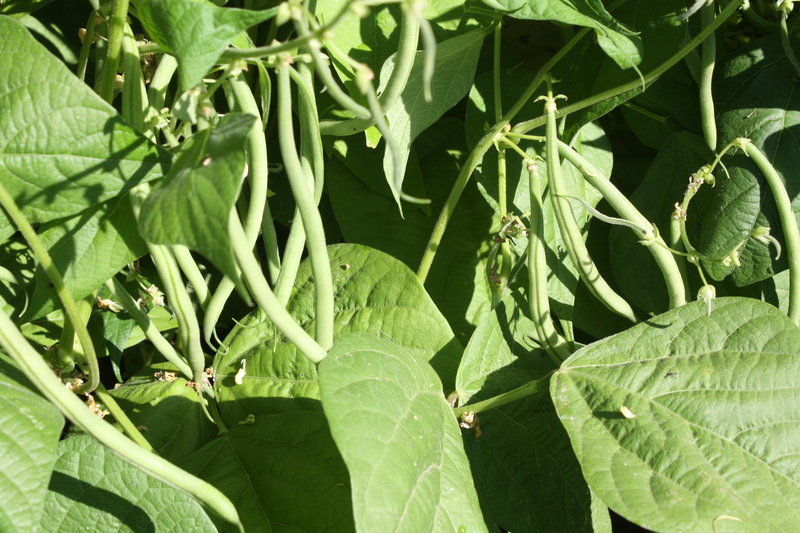 We have a bean explosion going on around here and our second rotation has quickly caugh up to the 1st and our 3rd rotation not far behind….Long long hours of picking down the rows. 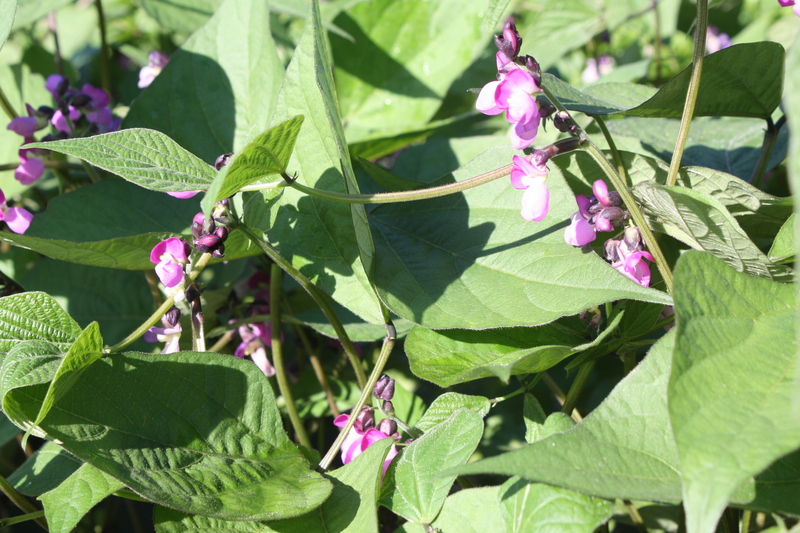 3rd rotation of purple filet bean plants loaded with blossoms. 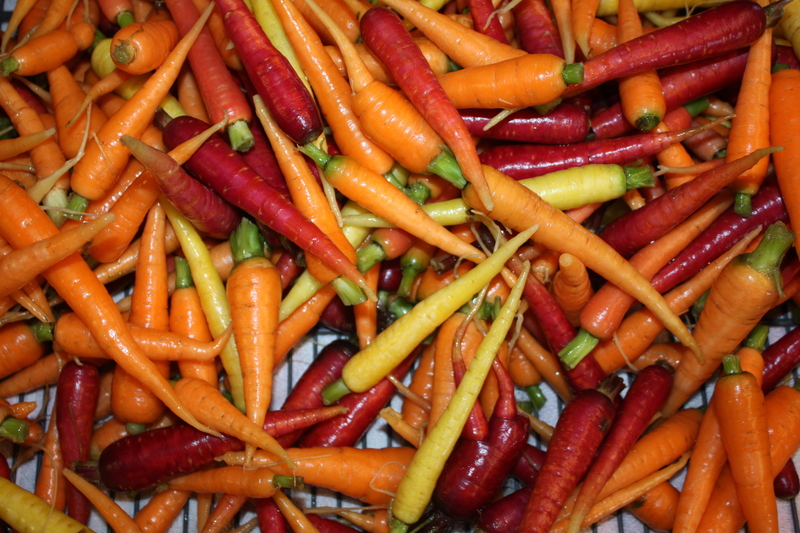 We had another great carrot harvest this week and are pleased with the varieties and yield. The brussels sprouts are heading up and we are excited as we planted tons and tons of these tasty gems for a huge harvest this Fall. 4 varieties went in including purple! 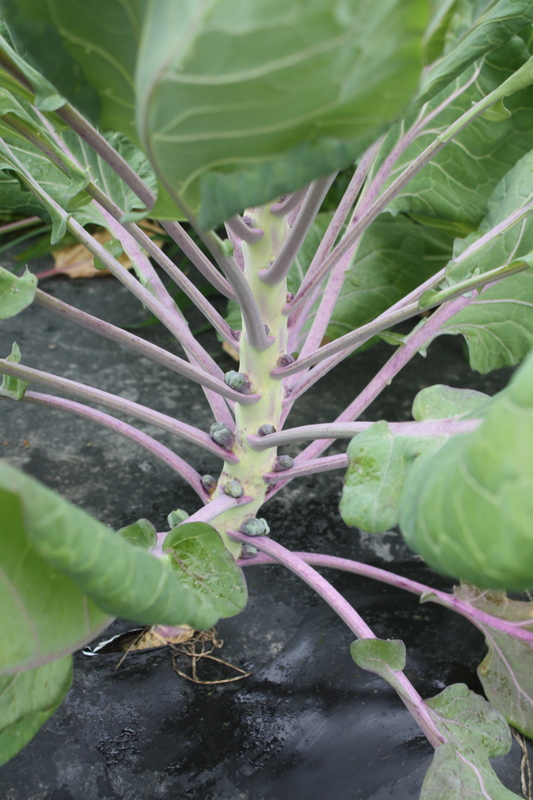 Purple Brussels Sprouts starting to head. 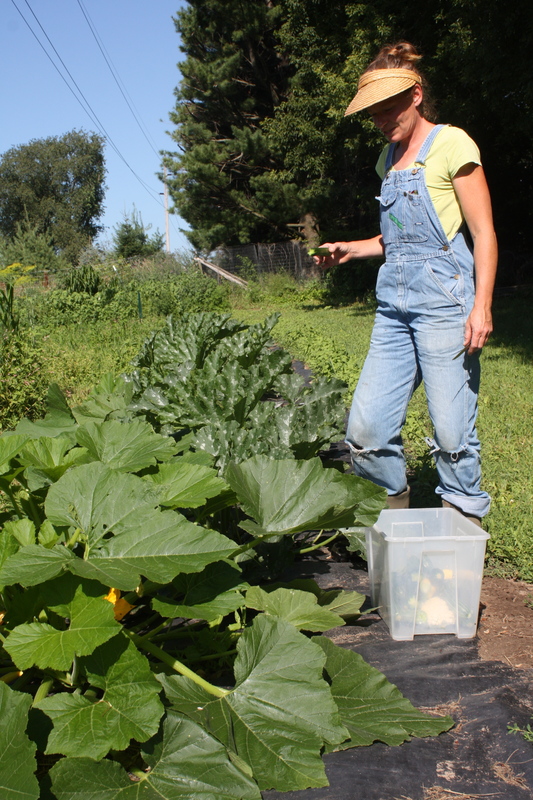 All the Fall Brassicas went in this past week except that cool broccoli we harvest in the snow for Winter Share. We just started these seeds for that variety and will plant out in about 2-3 weeks. 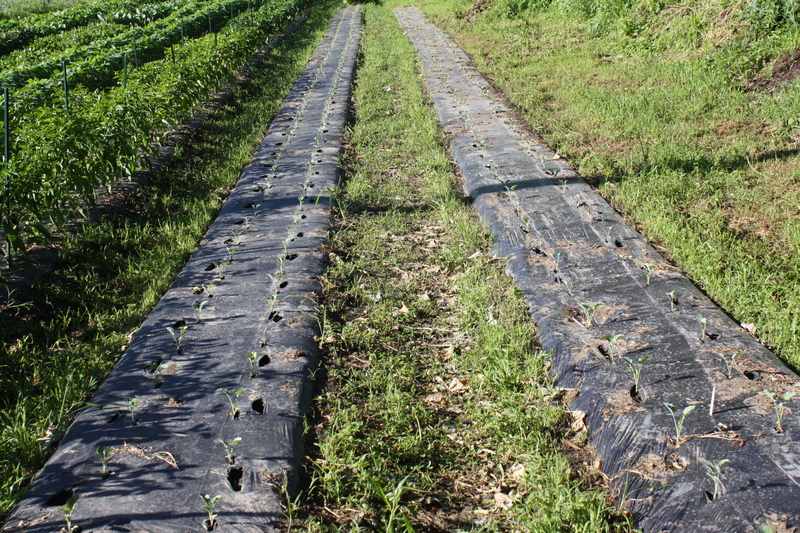 Long rows of transplanted Fall Broccoli. 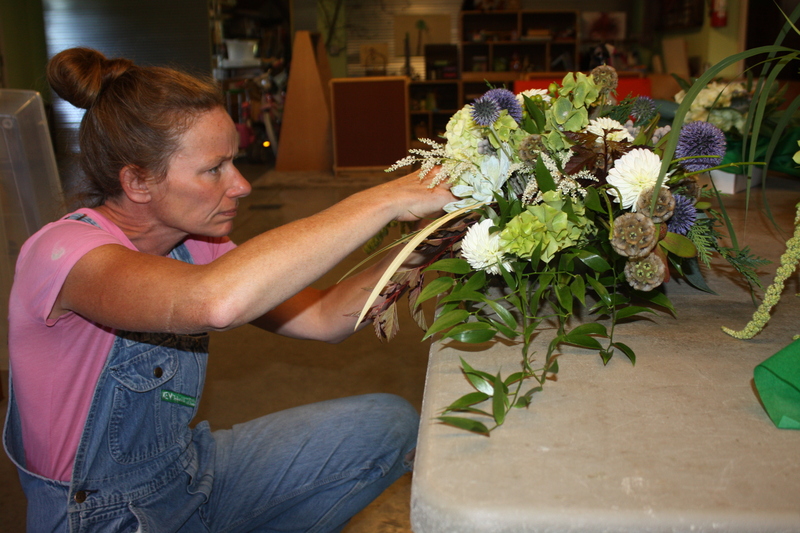 A stong week again with even a little time to work on a flower order for a dear friend’s special event. Time to create and revisit my past profession. I LOVED! it….. Flower bouquets for a special event. 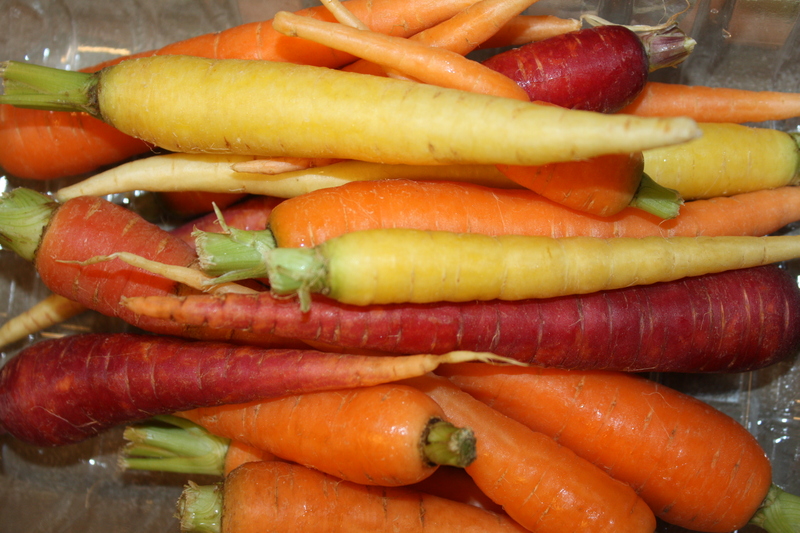 This week we will be planting another bed of carrots and lettuce, start another potato harvest, dig all the garlic (hopefully) and string it up to dry and pick beans and more beans and more beans again. Oh, and somehow Scott has to find the time to sickle mow the weeds! Grab your forks! 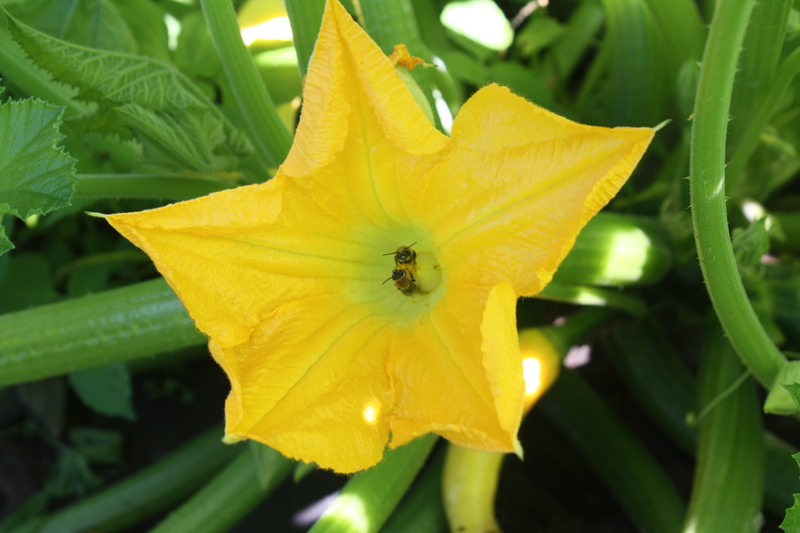 We are just starting the jumbo Summer bonanza harvests from the garden…….a fantastic bounty this week. We are kinda blown away and hope you are too. 558 pounds this week is going out the door! Enjoy. 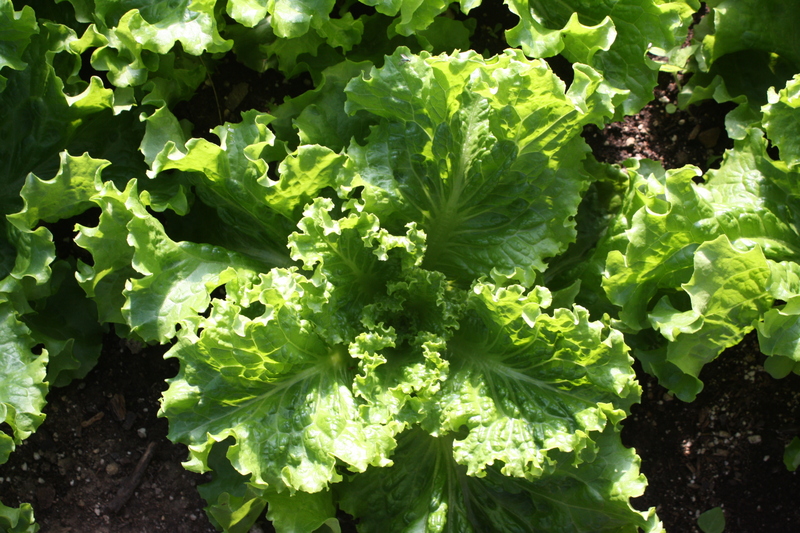 Head Lettuce-Another week of that delicious Summer Crisp that thrives in the heat. Huge crunchy heads. Heat loving summer lettuce in the hoop house. 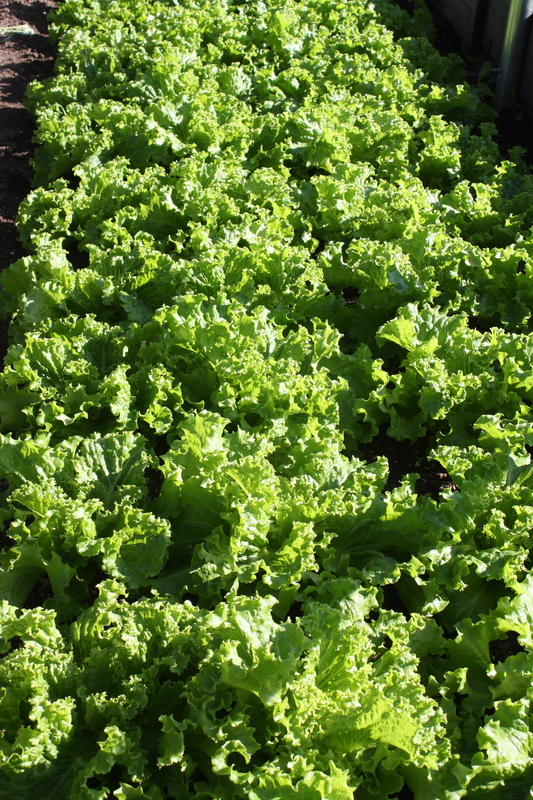 Leaf Lettuce-A nice sized bag for salads. This is the last of the leaf lettuce until Fall. Pac Choi-A surprise harvest this week. Tripled in size in 1 week and we thought this would be a few weeks out to harvest. Great raw or on stir fry. 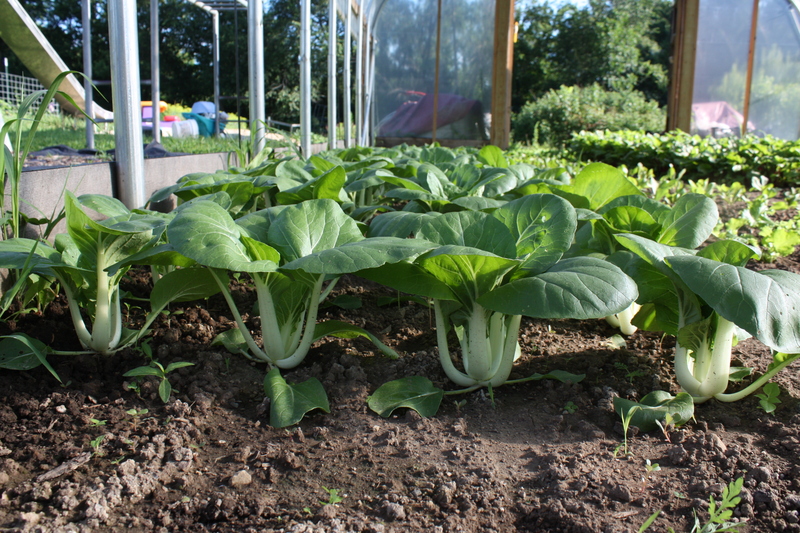 This pac choi harvest from the hoop house. Snacking Cucumber Mix-An assortment of mini thin skinned munchers that we love so much and snacking pickling cucumbers-white beauties too! 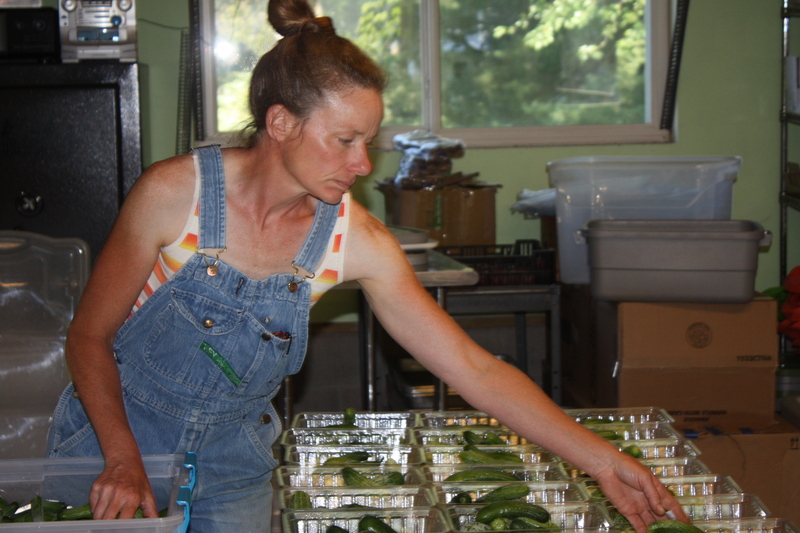 Portioning out the snacking cucumbers for the shares. Long Skinny European Cucumber-4 varieties are in the garden and we will have these for many weeks to come. Summer Onions-We just started the onion harvest and these too will be a staple in the shares for weeks to come. Sweeter than storage onions. Keep in the refrigerator. Red Norland Potatoes-Scott finished the harvest of these 1st early potatoes. Enjoy! Nothing better than the 1st potatoes of the season. 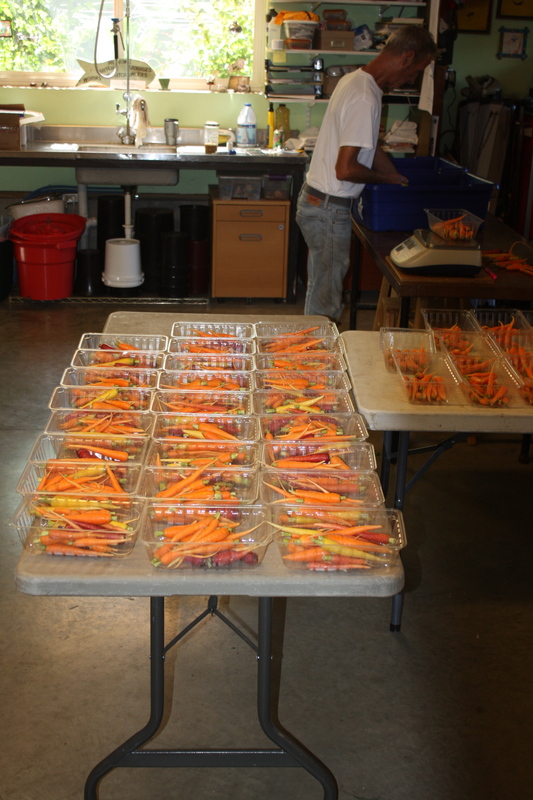 Snack Pack carrots ready to be bagged. Cauliflower-We are thrilled with the cauliflower harvest this year. Past years were kinda wimpy and we set a quiet goal of improving this year. It is delicious-really delicious and we eat it for supper almost every night. BEANS!-Here we go with the bean marathon. 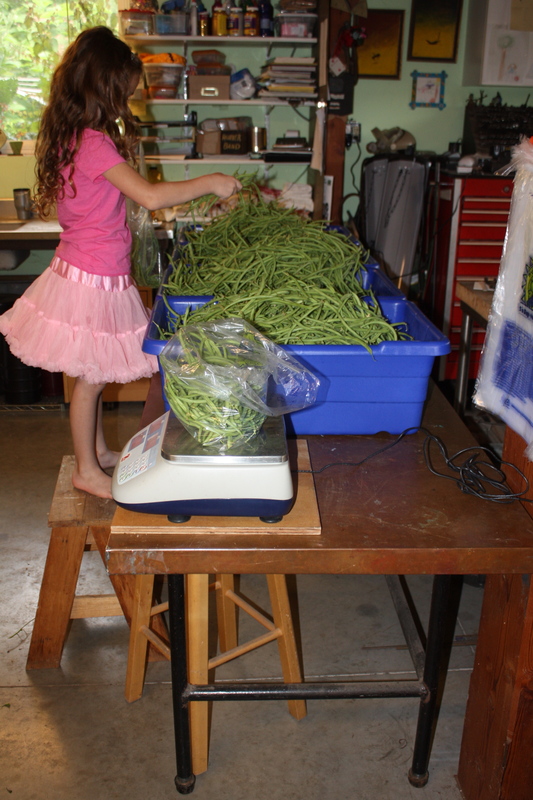 1/2 pound + bags!…..we have never had a crop that the beans were this long. The plants are loaded. 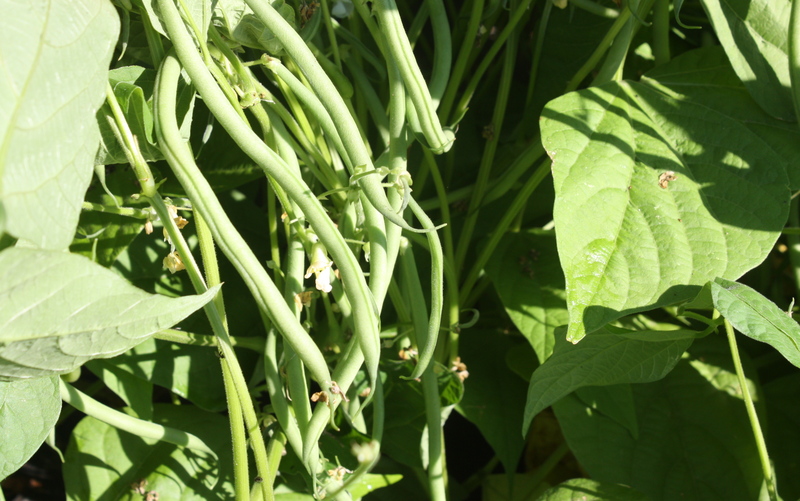 ….and more beans! This is only 1/8 of the row! 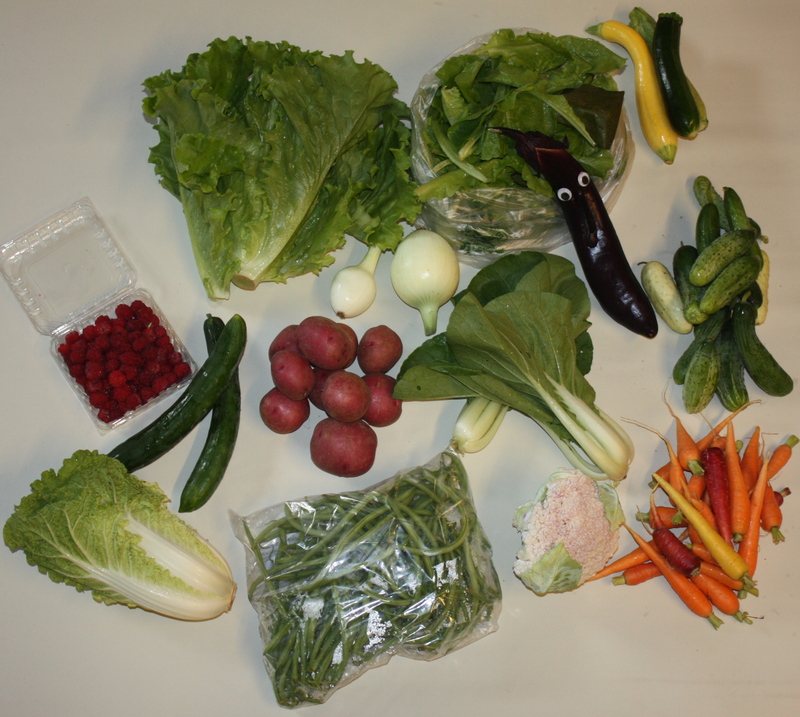 Leaf Lettuce-A big bag of an assorted mix. 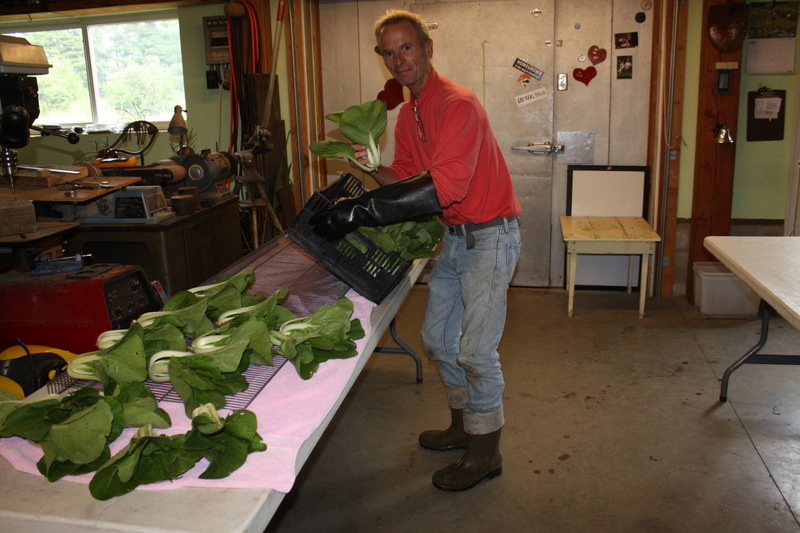 The last of the leaf lettuce until Fall. Snacking Cucumber Mix-A big bag of an assorted mix of mini thin skinned munchers that we love so much and snacking pickling cucumbers-white beauties too! Scott portioning off the Full share carrots. BEANS!-Here we go with the bean marathon…..1 pound + bags! 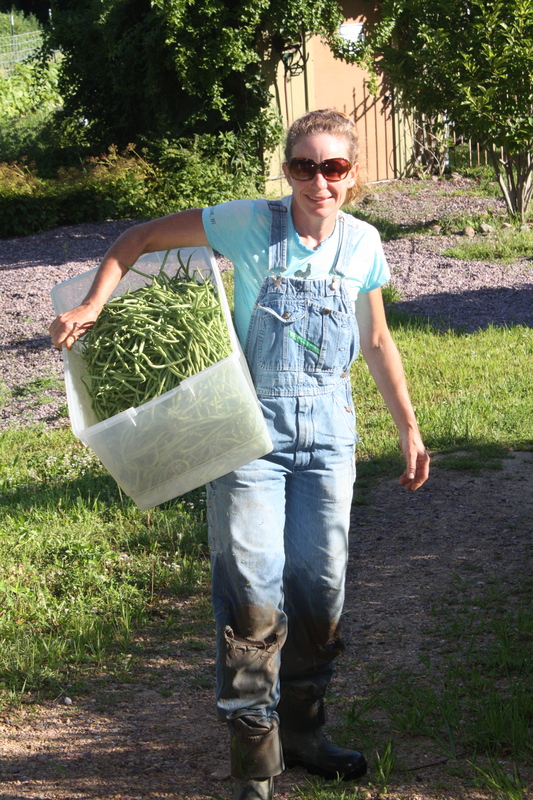 We have never had a crop that the beans were this long. The plants are loaded. 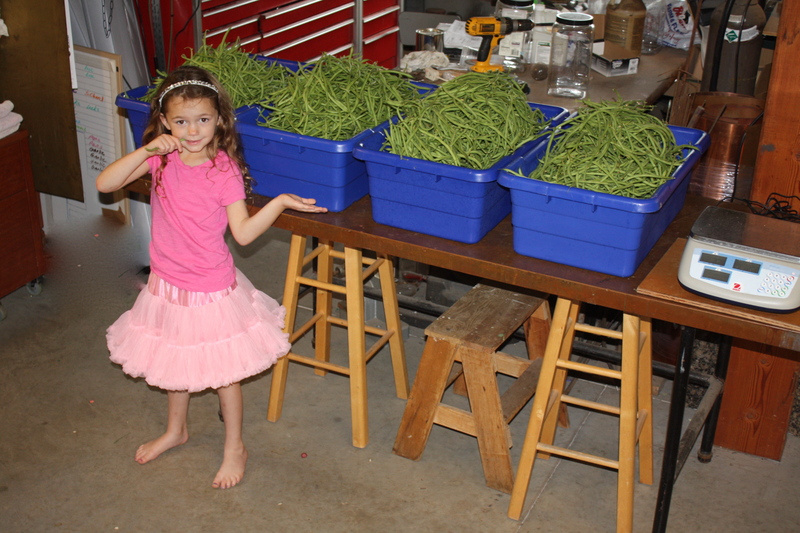 Maeve with the bean bounty. Portioning off the beans for this week’s share. 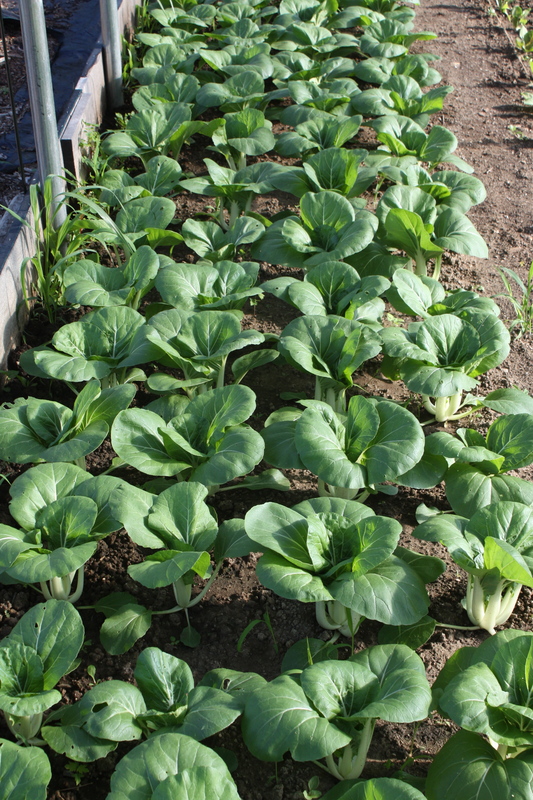 Chinese Cabbage-The small Soloist variety that is the perfect size. 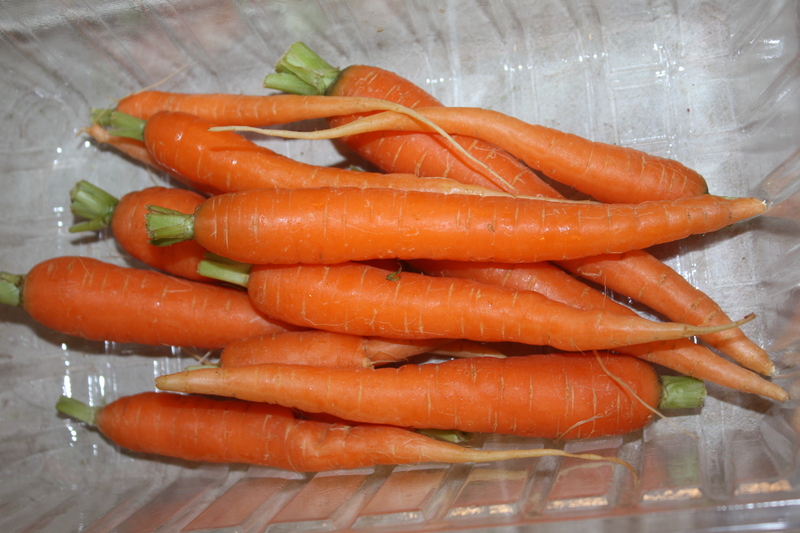 Can be eaten raw in salads or stir fry. Long storage life in the refrigerator. Zucchini-The plants are just starting to kick in. Several varieties planted and picked small. 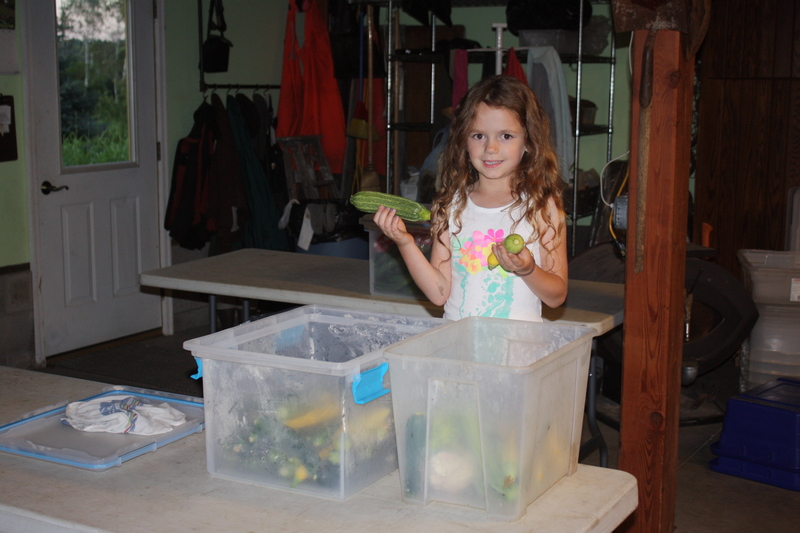 Maeve packing the zucchini harvest for storage in the cooler. 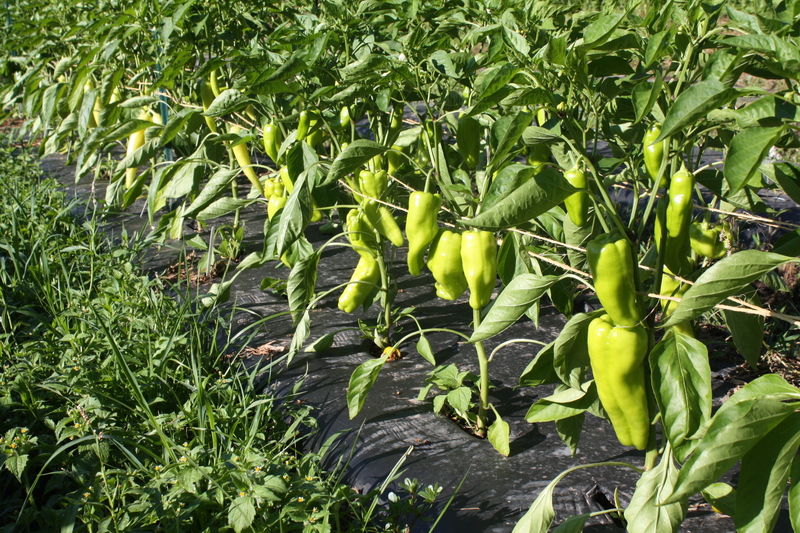 **Eggplant-ERDMAN FULL SHARE ONLY THIS WEEK-A few early birds to tuck in the shares…. 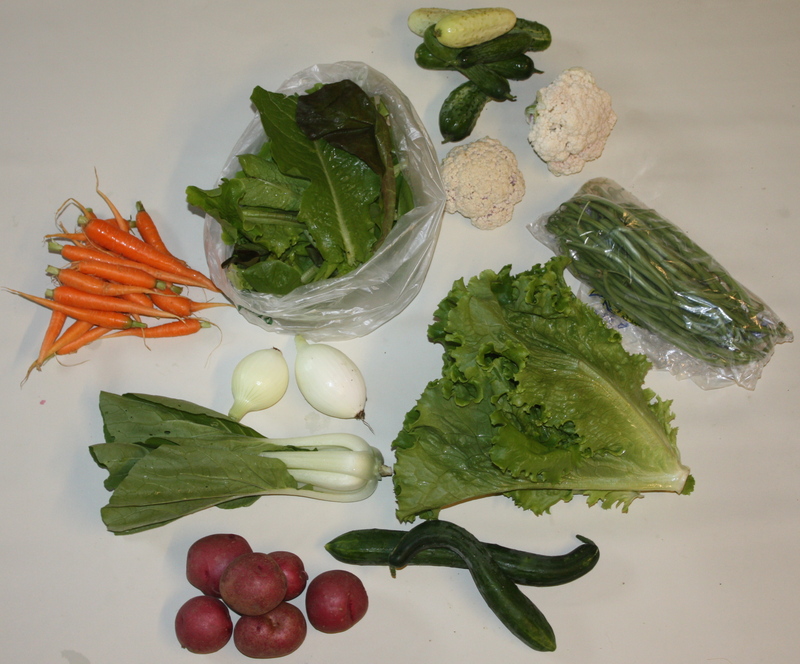 BEST GUESS FOR NEXT WEEK-cabbage, lettuce, beans, garlic, cucumbers, dill, summer squash, ??? ?peppers!, and maybe..
Holy cow! Look at that…maybe next week’s harvest. 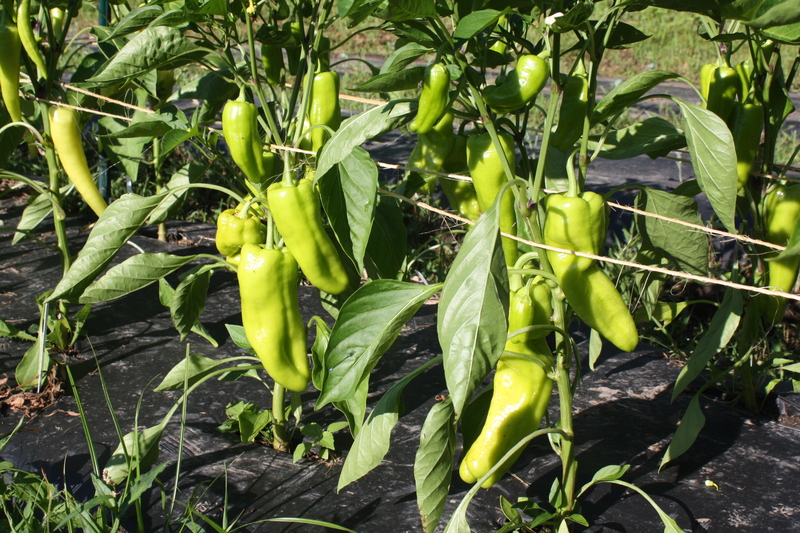 Sweet yellow peppers coloring up.